Riding high on the buzz for last year’s excellent debut full-length, Retrofuturism, New York alt rock and synth pop trio VHS Collection are poised to make their Nashville headlining debut Feb. 12 at The High Watt with likeminded NY indie electropop group Future Generations. The fiercely independent outfit have only been around for a few years, but thanks to widespread buzz throughout the blogosphere, they’ve managed to amass millions of streams, tour the nation, and snag spots at multiple major music fests, honing their layered, electro-laced, and pop primed live show along the way. Tickets to the group’s upcoming Music City outing are available right here, but we’re excited to announce that we’re also giving away a pair of tickets to one lucky fan! Read on for more about the show, and enter for a chance to win below. Though they officially formed in 2014, the members of New York’s VHS Collection have been friends and collaborators much longer. Singer James Bohannon and guitarist Conor Cook grew up across the street from each other in Manhattan, and played music together as kids, and James later went to high school and formed an earlier band with synth/keys/guitar player Nils Vanderlip. Years later, the trio, mostly working boring corporate jobs in New York, reconvened to form a new project, combining an affinity for ’80s electronic and disco tones with more contemporary alt rock and synth pop, recording a handful of early bedroom demos for what would become VHS Collection (named for their nostalgia of owning VHS tapes as kids). Encouraged by a surprisingly strong and swift response on Soundcloud, the band got serious, and, largely independent, continued to craft a series of EPs and singles and began to perform live, hitting the stage at major events like Lollapalooza, Austin City Limits, Bunbury, and Okeechobee, touring the nation packing clubs, and managing to rack up tens of millions of streams with an organic, internet-bred, and ever-expanding fanbase along the way. They only released their debut full-length, Retrofuturism, last fall, but already VHS Collection are a firmly established, buzzy, rising fixture, whose layered and honed live show makes them a must-see! 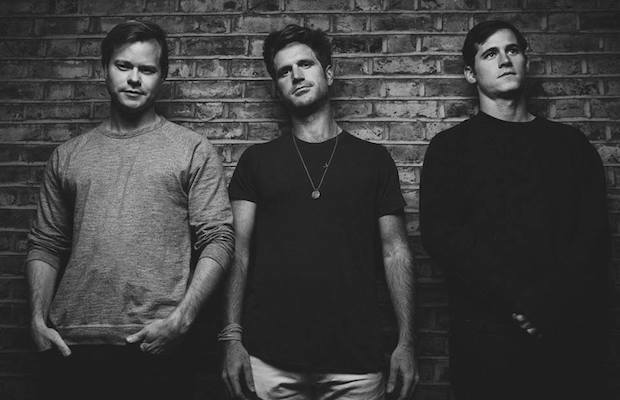 Nashville native Eddie Gore, Mike Sansevere, and Eric Grossman first formed the indie electropop group Future Generations while studying at Fordham University. The NYC quintet created their first EP, Polysun, during jam sessions between classes, earning the attention of Frenchkiss Records, who released the band’s debut self-titled LP in 2016. During that time, they added bassist Devon Sheridan and drummer Dylan Wells to the mix to enhance their sound. Tracks like “Stars” and “You’ve Got Me Flush” earned millions of streams on Spotify and praise from critics, and the past couple of years have seen the band rise quickly in stature, touring constantly and making festival stops. With last year’s sophomore effort, Landscape, the band sound bigger and more polished than ever, and their sound provides an excellent compliment to their fellow New York headliners. Winner will be announced Saturday, Feb. 9 at 12 p.m. CST, and will receive one pair of tickets. Good luck! Win Tix to VHS Collection at The High Watt! VHS Collection and Future Generations will perform Tuesday, Feb. 12 at The High Watt. The show is 18+, begins at 9 p.m. (doors at 8 p.m.), and tickets are available to purchase for $16-55.